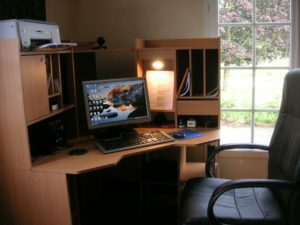 The recession of the early 21st century saw an upsurge of home-based businesses According to IncFile.com this counts for approximately 38 million U.S. households with an active home office and the numbers continue to grow. Most people who now work from home were previously employed by someone else. A desk job generally included a desk, filing cabinet, office supplies, computer, etc. Everything is in place for the new employee to start the job and hit the ground running. Leaving an employer – by choice or by force – and starting out on your own can be both thrilling and scary. Self-employment can be very freeing; autonomy and independence are seductive. Self-employment bring the very idea of “the sky’s the limit” into a tangible goal. 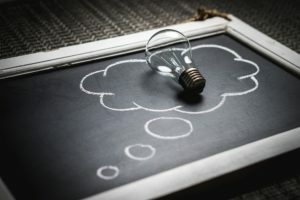 There are so many things that can be accomplished when you work from home, and there are so many things that could actually help you as a home owner. 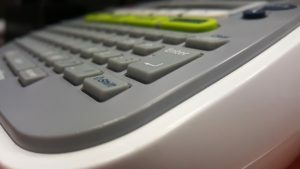 Like did you realise that you might be able to save money by using business energy in your home? All you have to do is call up someone like Simply Switch who would be able to find you the cheapest energy provider and then you would be able to save money on your energy bills at home. This isn’t just the only bonus that comes from working at home, there are many other things. 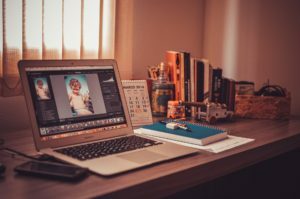 However, the key to a successful business from home is having the right working area. The ideal work space should be organized and designed for maximum productivity and prosperous goals. You should love the furniture that you have. The chair you sit in should be comfortable, the shelves should be with in easy reach and the desk should fit you perfectly. If you want to get some more ideas on what to get then you should take a look at a site like furniture in fashion’s computer desks to give you some inspiration on what would be best for your home office. The shift from working for someone else to working for one’s self can be dramatic for the unorganized or uninitiated. 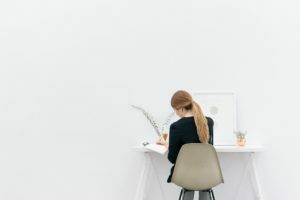 And when it comes to creating the idea work-at-home workspace, a lot of people head over to an office supply store to purchase all manner of stuff they may think they need to prosper. 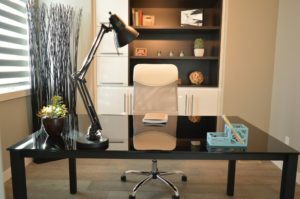 While it’s fun to shop for purple post-its, pen caddies, and paper-clip cups, before you fill your space with gadgets and gewgaws, consider these Top Ten Tips to organize your home office or work space. Create a Vision Board. Take out glue, scissors, old magazines and a 1/2-sheet of poster board. Find images and words that convey your ideal work space. Be creative, let your ideas flow. What do you believe will work best for you to be your most productive and prosperous self? For a traditional vision board [poster-board, scissors, magazines] visit this site: vision board website to get you started. For an online version click here. 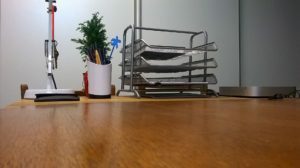 Circle of Work: Set up shop at home in a area where you can access printer, a couple of shelves, desk space or table top, and a container or drawer for office supplies [but only what you currently need!]. The “circle of work” is about positioning your supplies so that everything you need is within reach and for which you don’t have to leave your chair. Zone the Work Space: Within the circle of work are the work zones: flat space for writing, place for computer/printer, area for action or client files, etc. Group office activities together. File or Pile? : If you are a visual person consider stacking your “papers in progress” in table-top trays or buckets. If you can file a paper into a folder and retrieve it later on you may want to create a more traditional file system. Either way have this handy paper retention guide to help determine which papers to keep and for home long. Office Furniture: Choose home/workspace furniture that can perform multiple functions. Here are some fun ideas. Drawers or Desktop? : The circle of work area will need to include pens, paper clips, writing pads, white out, scissors, etc. which tend to overflow from cups and bowls and inside desk drawers. 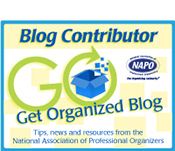 Suggestions to keep under control: 1) designate a storage area in home or garage for office supplies. 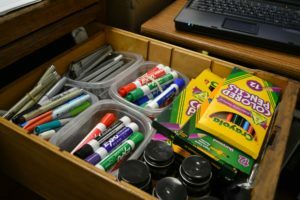 Your desk should only contain about a month’s worth of supplies; the rest should be stored away; 2) keep office supplies either on top of your desk or in a drawer; 3) separate supplies into trays or desk organizers; 4) label the inside of the organizer for where you want things returned. The Spiral Notebook: I’m a visual person and still use a 6×9 spiral for all meeting notes, creative ideas, newsletter suggestions, and the like. 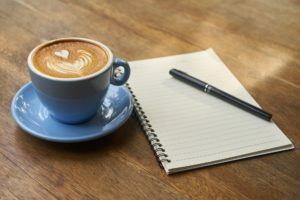 Instead of grabbing for scraps of paper and post-its to jot an important thought, keep a spiral on the desk for all manner of things – from note-taking to to-do lists. For those more interested in virtual note-taking, here is a side-by-side of some of the best note taking apps. Bookcases and shelves: Ideally, the home work space does not cross too much into the living space. As much as you can, separate family photo albums, children’s books and cook books from your workspace shelves. Instead, use the space for reference and resource materials, stationary, and office supplies if that is a designated storage area. In the circle of work these resources should be within reach of your desk. Electronics and Electric Cords : If you don’t have enough outlets seriously consider hiring someone to add a couple. It’s really worth it and your space will look better without power strips all over the place. 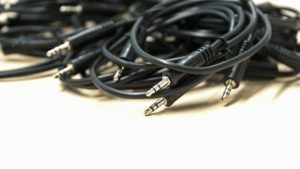 Consider wrapping cables and cords and tuck them out of the way. Charging stations are another solution for eliminating power cord clutter. Label Maker: Do not underestimate the power of a good label maker. If you are a visual person use the labels as reminders to return items back to their original home.